🇬🇧 Good Tuesday morning. It’s Brexit decision day. Out of the gate, Democratic women are swarming the 2020 presidential race — outnumbering and outmaneuvering men with early announcements. Sen. Elizabeth Warren started the trend, followed by Rep. Tulsi Gabbard of Hawaii. 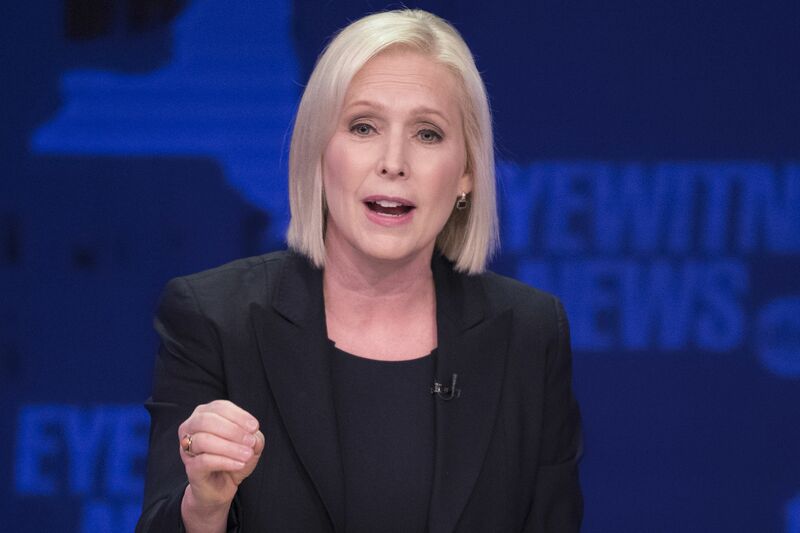 In coming days, Sen. Kirsten Gillibrand of New York will continue the trend. Sen. Kamala Harris of California will soon after cement the trend. Both are hiring staff and have launch strategies. And by the way, we hear Sen. Amy Klobuchar of Minnesota may speed up her plans because of all the coming action. Why it matters ... This could be the month that Democrats truly become the party of women: Speaker Pelosi runs the House, AOC rules social media, and women are shaping the early days of the presidential race. Axios' Alexi McCammond points out that as Democrats game out what type of candidate will be the most effective Trump slayer, a female challenger would paint a clear, stark contrast. Last year's midterms rewarded women with clear, competent, confident and fearless visions for the future, who talked about a way forward that was more functional than they had been witnessing as private citizens. As women abandon the Republican Party and President Trump continues to rely on his base of voters, that leaves a swath of women voters up for grabs. Being a woman doesn’t automatically make you electable. But in the Trump era, progressives are likely to reward women who dare to be outspoken. 2. 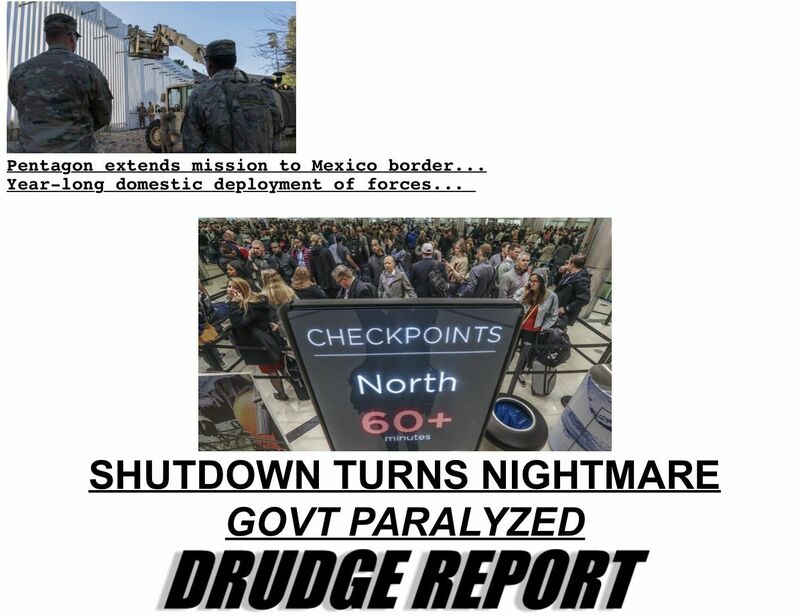 What's really happening at the border? "[A]s Sanders weighs another campaign, some say that even as he has moved the Democratic Party ideologically — pushing issues such as Medicare for all, free college tuition, and a $15 minimum wage into the mainstream — the party has moved past him personally." "I don’t see a lot of lasting energy for Bernie,” said Markos Moulitsas, the founder and publisher of Daily Kos. "It’s different from last time when he was the alternative to an unfortunately flawed front-runner ... Right now, the mantle of 'progressive' can be carried by any number of candidates." "Sanders has apologized twice, calling the mistreatment 'absolutely unacceptable.'" Tomorrow, "he plans to meet with the former staffers to address their concerns." Sanders is "accelerating his efforts to contain the damage from reports of sexism and harassment during his 2016 presidential campaign," per The Times. And The Globe says "supporters ... are hosting house parties and signing petitions." What we're hearing ... A well-known Democratic operative tells me: "I think it’s nuts Bernie is running. It will be terrible for his reputation and could do serious damage to his politics in VT but sounds like he’s pushing forward." 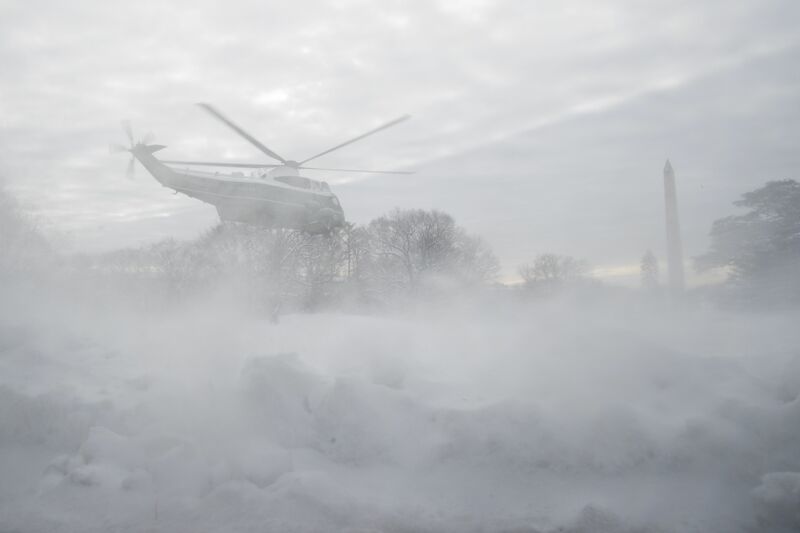 Snow is kicked up by the prop wash as Marine One lifts President Trump off the South Lawn of the White House yesterday. "The number of airport security screeners failing to show up for work around the country is soaring as the partial government shutdown goes into its fourth week," AP reports. No-shows jumped Sunday and again yesterday, when TSA reported an absence rate of 7.6% compared with 3.2% on a comparable day a year ago. Quote du jour ... President Trump, to the American Farm Bureau Federation convention in New Orleans: "When it comes to keeping the American people safe, I will never, ever back down." Mood music: L.A. Times front-page story from the Farm Bureau convention, "Farmers’ faith in Trump is slipping." "Trade war and the government shutdown hurt their bottom line." American workers — after 35 years of essentially flat wages — are finally clawing back real added income, Axios future editor Steve LeVine writes. Normally, the next thing would be for the Fed to raise interest rates a tick to stave off inflation. But, Axios' Dion Rabouin reports that Fed chairman Jerome Powell appears likely to keep interest rates flat this year. Over the last decade, productivity has risen less than 1% a year, lower than the 3% average in the 1950s, but no one has figured out why. Sign up for Steve's newsletter, Axios Future. The EPA hit a 30-year low last year in the number of pollution cases it referred for criminal prosecution, Justice Department data show. The 166 cases referred for prosecution in the last fiscal year is the lowest number since 1988, when Ronald Reagan was president, per AP. The data was obtained by the nonprofit Public Employees for Environmental Responsibility. 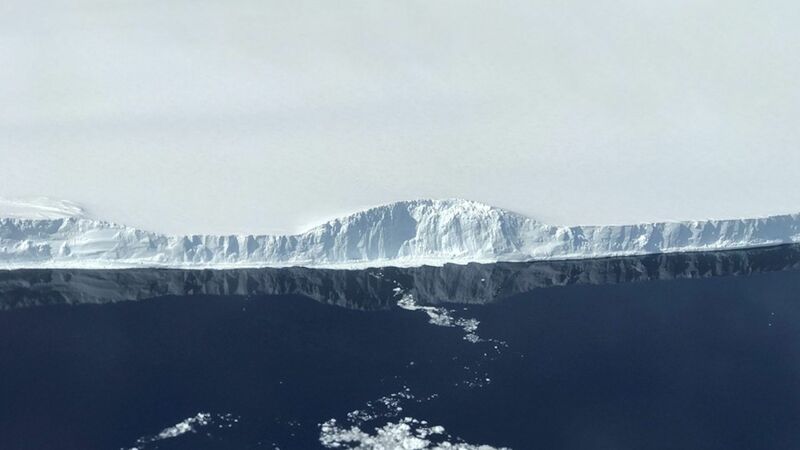 Antarctica is shedding ice at an increasingly rapid rate, potentially imperiling coastlines around the world as sea levels increase in response, Axios science editor Andrew Freedman writes. Why it matters: Antarctica is already contributing a growing amount to sea level rise, and things could get much worse. What's new: A study, published yesterday in Proceedings of the National Academy of Sciences, found that East Antarctica has been losing mass since the 1980s. The study, from glaciologists at the University of California at Irvine and Netherlands' Utrecht University, used NASA aircraft reconnaissance and satellite measurements. Facebook is granting $300 million to news programs, partnerships and content over the next three years, a similar amount to a commitment from the Google News Initiative last year, Axios' Sara Fischer reports. Facebook says the project is meant to support local journalists and newsrooms in the immediate future and help them build sustainable long-term business models, on and off its platform. Roughly one-third of the money has already been allocated to local news non-profits and programs, as well as Facebook's own local news initiatives. Facebook head of news partnerships Campbell Brown: "I strongly believe that because smaller publishers don't have the same resources as larger ones, this is really where we can have the most impact." Why it matters ... The relationship between the news industry and Facebook has been rocky: Tech firms sap publishers' ad revenue. 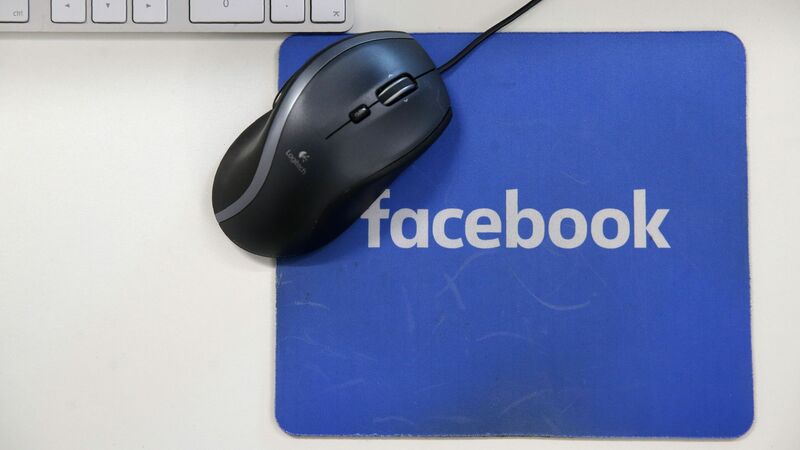 And Facebook algorithm changes dramatically affect how newsrooms get web traffic. "Silver trays held stacks of wrapped burgers from Wendy's. Also on offer were boxed burgers from McDonald's, including Big Macs." 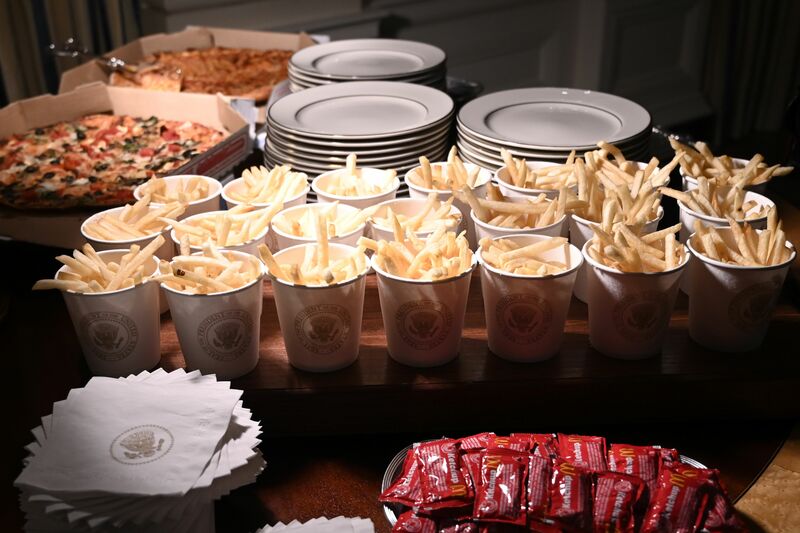 "White House cups bearing the presidential seal held the fries. ... Silver bowls held the condiments." 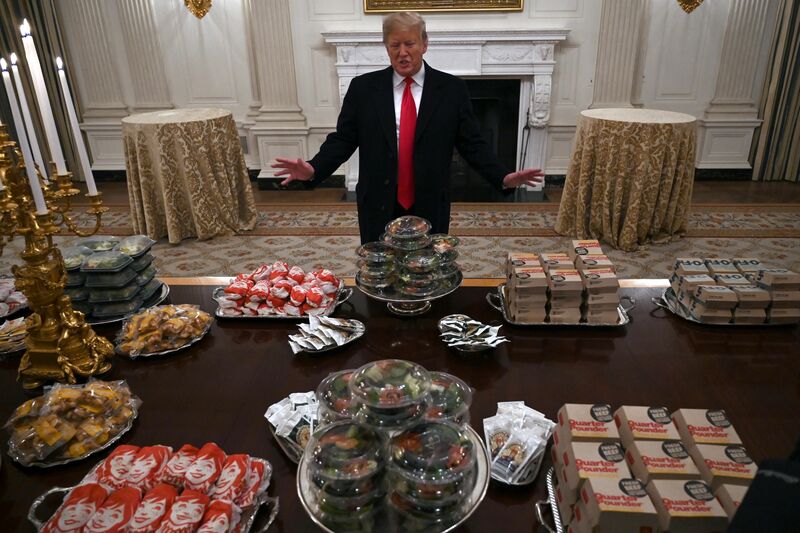 Trump said he paid for the meal himself because much of the staff in the White House residence has been furloughed. "We ordered American fast food, paid for by me. Lots of hamburgers, lots of pizza," Trump said after returning to the White House from New Orleans. "We have some very large people that like eating, so I think we're going to have a little fun."